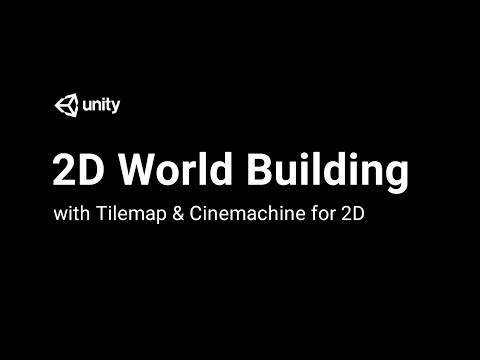 In this live session we will explore worldbuilding in 2D using Tilemap and 2D Cinemachine. Tilemap makes it fast and easy to create and iterate level design cycles right in Unity, so artists and designers can rapidly prototype when building 2D game worlds. We will look at how you can paint levels using the new tile and brush tools which allow you to define rules for how tiles behave when placed, creating platforms with dynamic edges, animated tiles, random tiles, and more. Cinemachine, is a dynamic, procedural camera system which it easy to automate composition and tracking to enhance gameplay. Cinemachine is now available for 2D games. In this segment we will look take questions from the Twitch chat and provide answers.